The word “tattoo” is derived from the Polynesian word “tatau”. The practice was first documented by Captain James Cook in the 18th century while exploring Tahiti and New Zealand. Sailors on later voyages introduced the practice to Europe and as they say, the rest is history. Nowadays tattooing has become a form of personal expression that has permeated its way into mainstream culture. Once seen as rebellious and extreme and confined to the fringes of society, tattoos can now be found on people from all works of life. 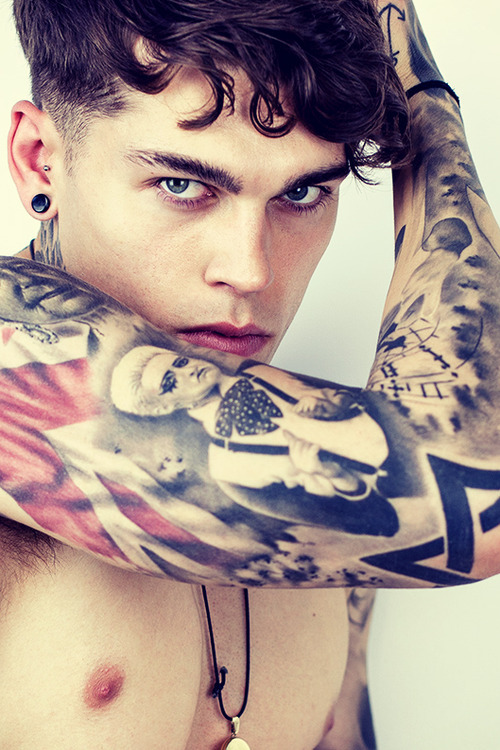 As an ode to the humble tattoo, please enjoy these modest pictures of English model Stephen James.